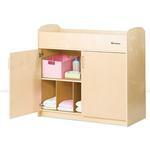 Give your nursery a coordinated look with durable Foundations® furniture. 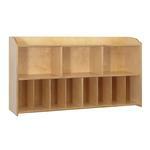 High quality construction is made of solid Baltic birch to ensure maximum durability and longevity. Arrives fully assembled, Made in the U.S.A., Lifetime warranty. 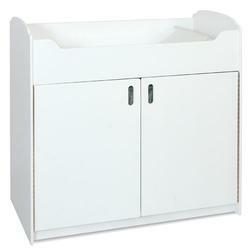 Designed to match Serenity Changing Table. 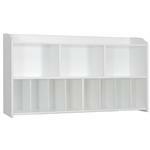 Wall mounted unit features three large and eight small cubbies for additional storage.